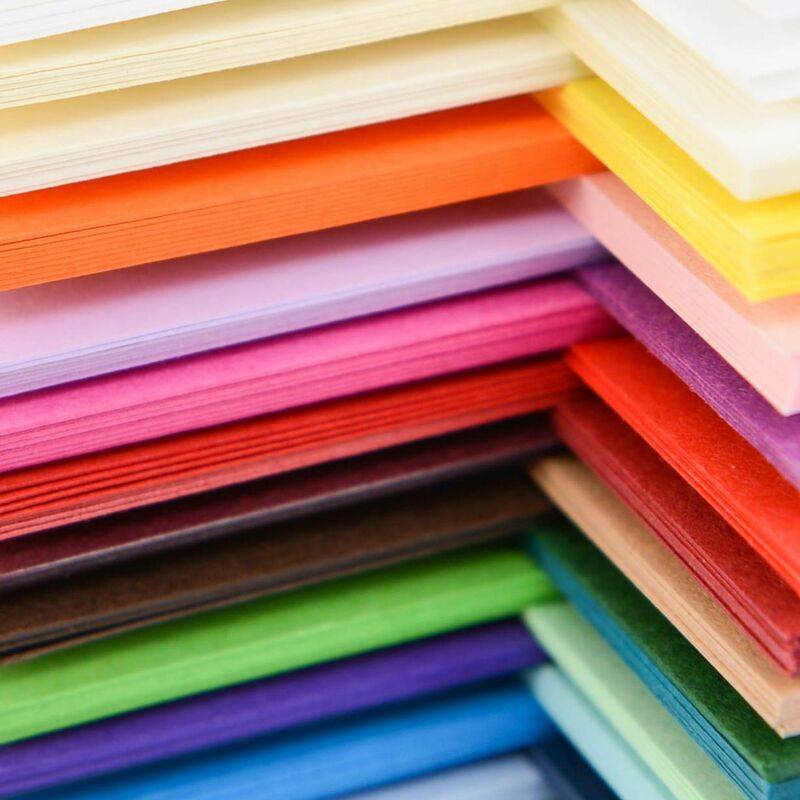 Papermilldirect specialise in superb quality craft card and paper, and our pick and mix service lets you take advantage of our entire range of colours, textures and weights – all within one handy box! Our pick and mix card and paper boxes really do exactly what you’d expect them to; they let you choose the card and paper types that you want, and these products are then delivered to you all within the one box. We have small, midi and mega box sizes on offer, and each lets you select a different number of paper and card varieties – from 5 picks to 10 picks. This means that each box will contain between 80 to 2580 sheets, depending on the size of the sheets in question. Our pick and mix boxes can incorporate A4, A5 and A6 sheets, and you can also pick from extra thick card, as well as standard paper and card sheets. What’s more, our colour spectrum is absolutely huge, giving you maximum choice to create something truly unique. As well as the standard pick and mix boxes, you can also mix and match with our pearlised card and paper sheets too, as we have a vast assortment of available boxes for this style as well. Pearlised paper and card is sometimes known as ‘pearlescent’, which means that it’s great for adding a little additional “wow” factor to your craft projects. However, just because the finish is consistent doesn’t mean that the colours are, as you can choose from a variety of lustre print shades (as well as more natural colourations) within your box. Depending on the size of your box, you can amass between 5 and 10 different picks per box, so you could even order the same pearlised box option multiple times and the paper and card contained within would never necessarily be the same as the time before. Our pick and mix boxes are a fantastic way to take advantage of our array of paper and card styles. Don’t forget that Papermilldirect offer FREE standard delivery upon all orders over £60 to most UK addresses, and it’s easy to get to this amount with our pick and mix boxes; especially if you order a mega box. I love your clear directions for making the shaker cards. I often make the birthday cards for the Sisters and wondered how these were done. Thank you for sharing this information.